IS DAMAGE AFFECTING THE BOTTOM LINE OF YOUR E-COMMERCE BUSINESS? For a free consultation and free trial of our patented cost-saving solutions contact Al Thika Packaging. Al Thika Packaging offers you a complete solution for your packing area to give you the most efficient and flexible process while providing the most protective, secure and traceable packaging available. Solutions for protective packing machine (bubble wrap, air cushion, void fill, air pillow bag), water activated tape dispenser, shrink wrap, carton coding and labelling, packing stations and conveyoring. 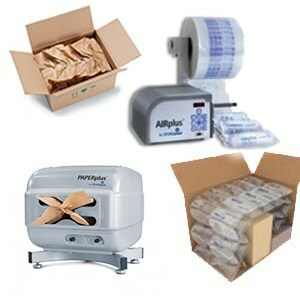 Storopack AIRplus air pillow machines create a variety of air pillow bag packaging for void fill, bubble wrap. Air cushion machines ensure fast, reliable inflatable protective packing. 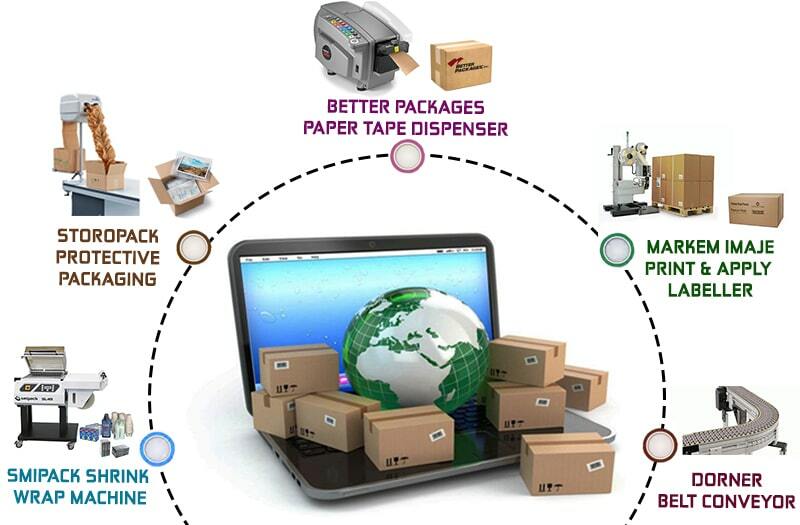 Paper packaging machines provide exceptionally flexible and stronger paper void fill for your heavier shipments. 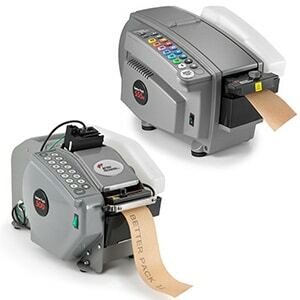 Water-activated tape dispenser (WAT) provides significant carton-sealing advantages. Also known as gummed tape, Kraft tape, paper tape, or reinforced gummed tape (when fibreglass is embedded), WAT provides a strong, tamper-evident seal that keeps cartons securely closed both during shipping and while in storage. Markem Imaje range of pallet and carton coding through to print and apply labelling systems will ensure your products have total traceability as well reaching their intended destination flawlessly. The new 2200 Pallet and CimPak build on a proven concept providing reliability, efficiency and ease of use in demanding 24/7 environments. 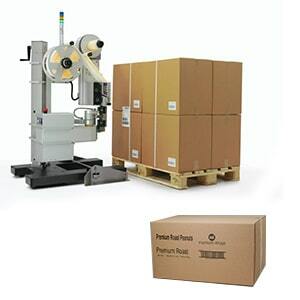 The demand for low cost, simple and quick solutions for the packing of small and medium-size products increases all the time. 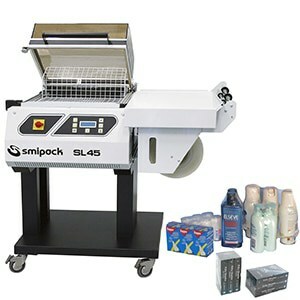 The extraordinary versatility of Smipack shrink wrapping machines is the winning solution. Al Thika Packaging is the exclusive distributor of world-renowned companies in the Dubai, Abu Dhabi, Sharjah, Fujairah, Ras Al Khaimah, Ajman, Umm Al Quwain, Al Ain – UAE, Saudi Arabia, Bahrain, Oman and the many other Gulf countries.